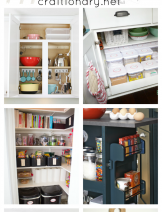 Spring comes with fresh air, beautiful flowers and fresh plants. 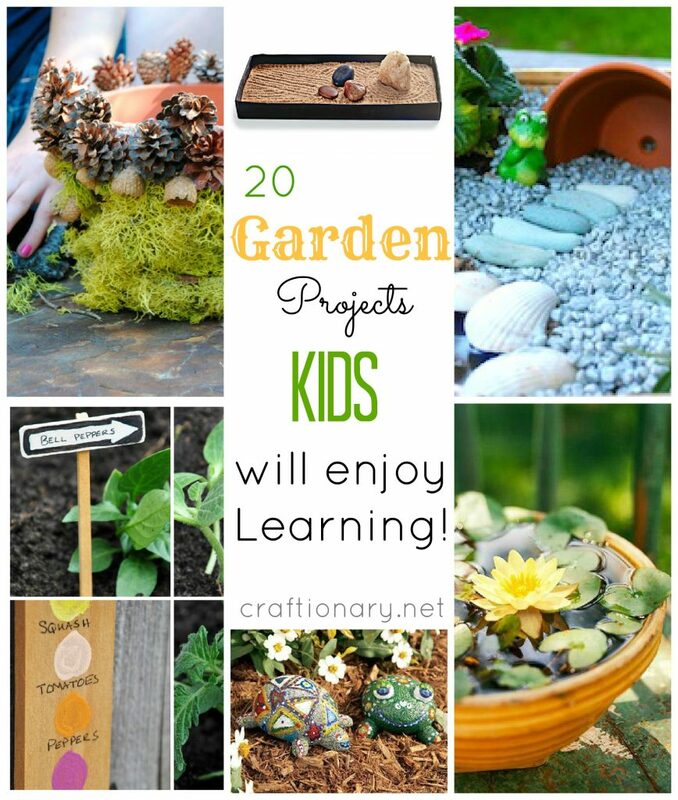 Fairy gardens are fun to make and spark creativity. 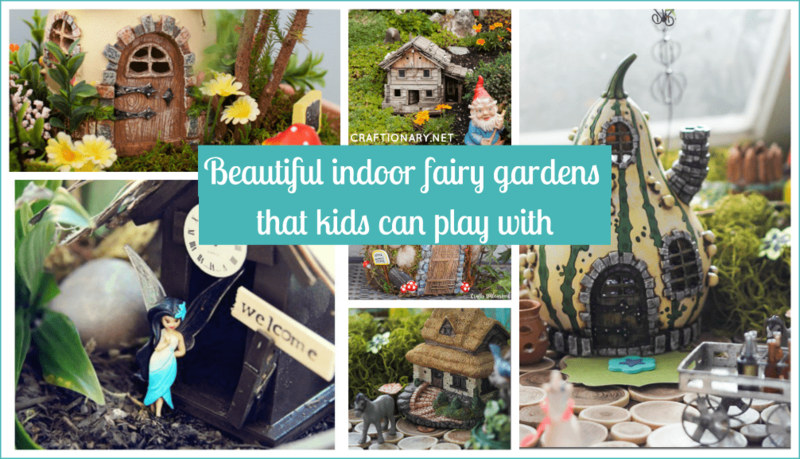 Making beautiful indoor fairy gardens that kids can play with keeps the fantasy alive. 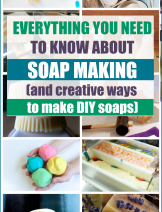 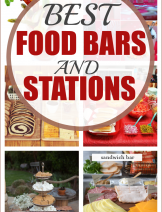 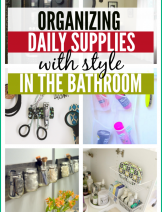 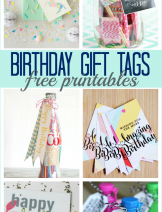 It is a fun activity for kids that involves play and nature. 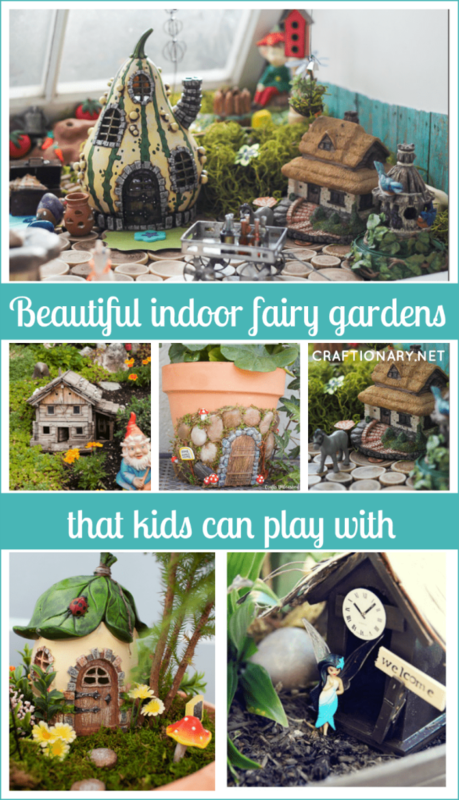 Beautiful indoor fairy gardens can be a part of your home decor in living room, entrance, porch or kids play area. 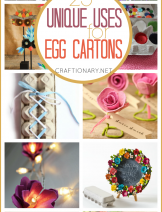 Today I am sharing some creative and beautiful indoor fairy gardens that will amaze you with their cuteness and easy construction tutorials and DIY instructions. 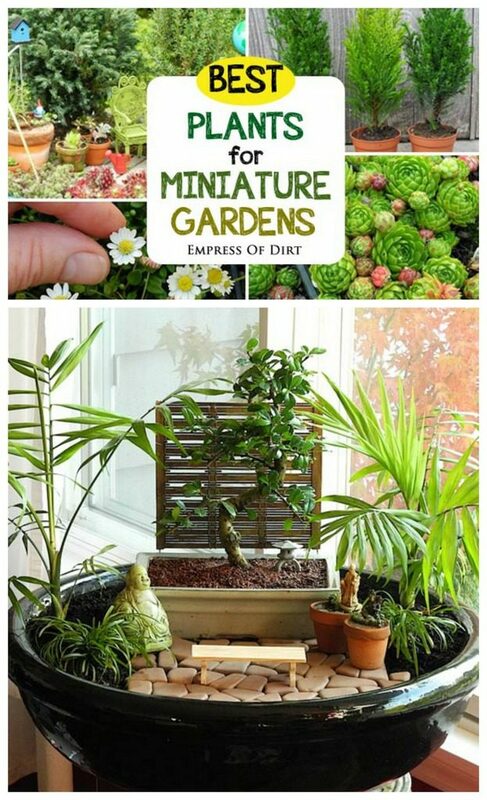 To make small and miniature fairy gardens, you will need to know about miniature plants and plants that are easy to maintain indoors. 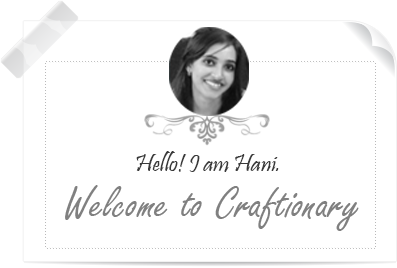 So I also made sure that information is not missed here. 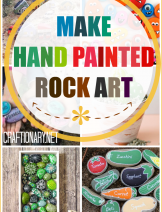 Moreover, the tutorials are not only about finding ceramic objects and decorating a fairy garden but also DIY decorations to inspire you to create handmade indoor fairy gardens from scratch. 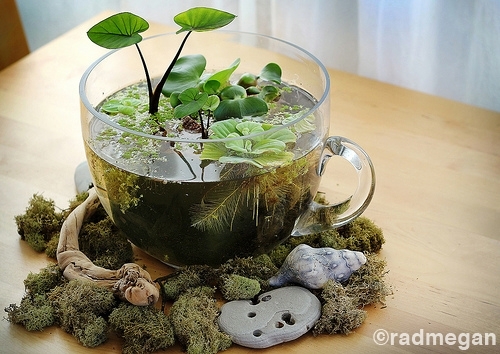 Use pots to make an indoor fairy garden. 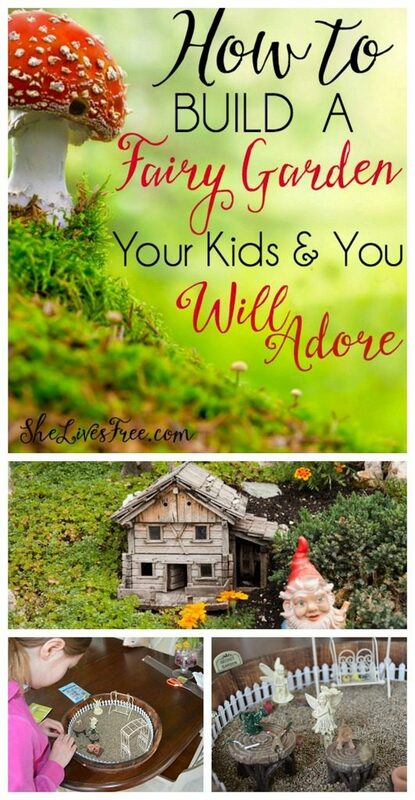 Unique finds from dollar store and other home and garden stores makes a custom fairy garden kids will love to decorate. 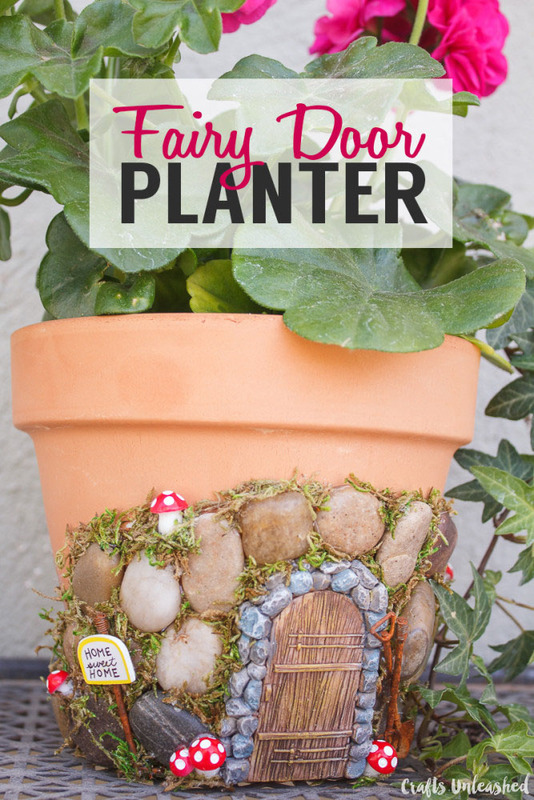 Turn a planter into a fairy garden door with some stones and modpodge/ glue. 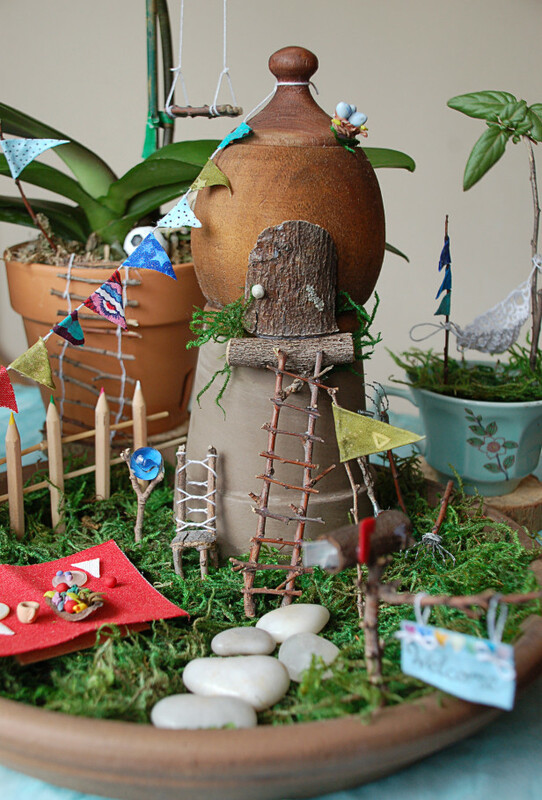 An easy fairy garden with a cute popsicle sticks bench. 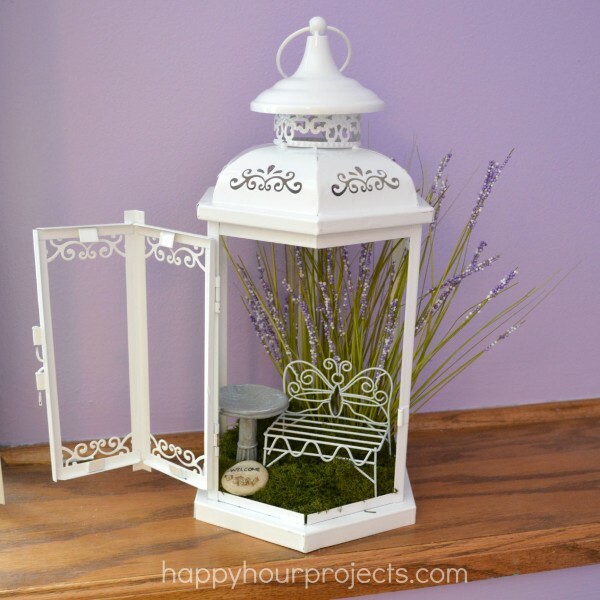 Turn a lantern into a fairy garden. 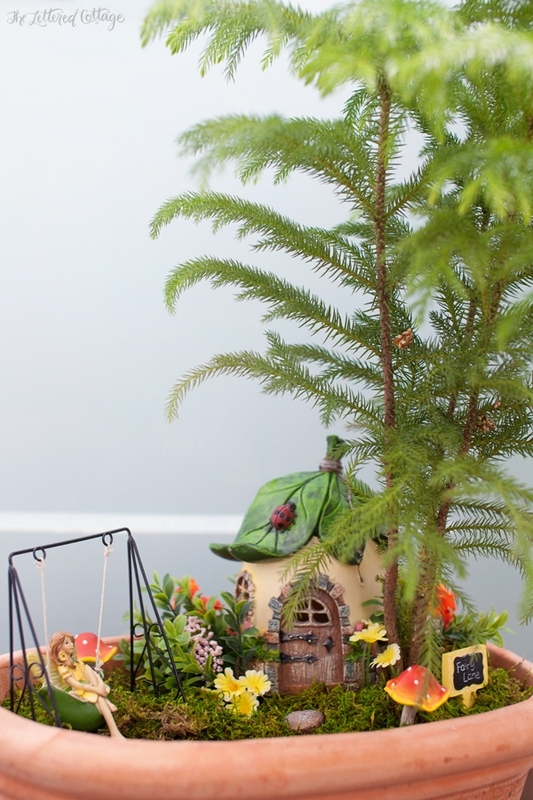 How To Make an Indoor Fairy Garden with step by step instructions to make mini fairy things. 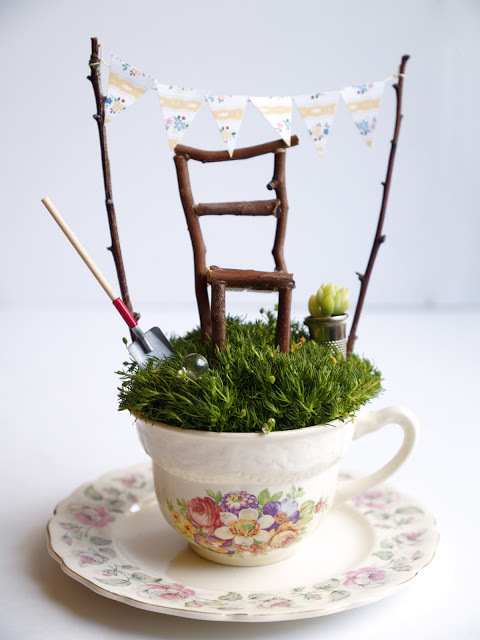 A cute little addition to your home will be this teacup sitting place for fairy. 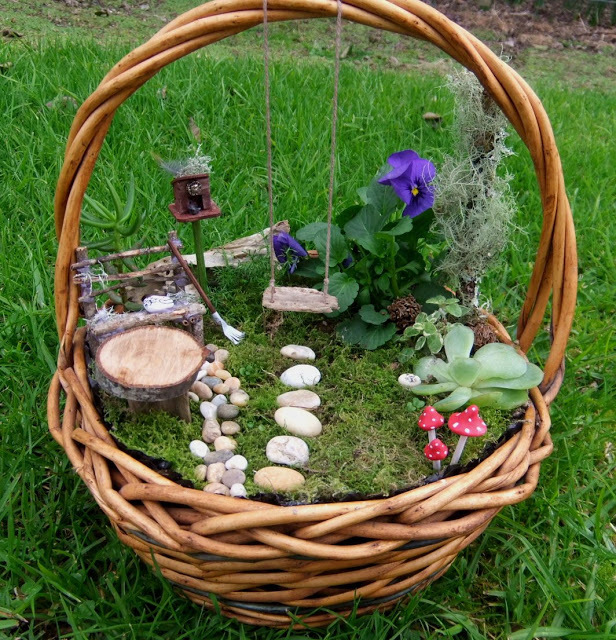 Make fairy garden in a basket with succulent, mushrooms, wood slices and moss. 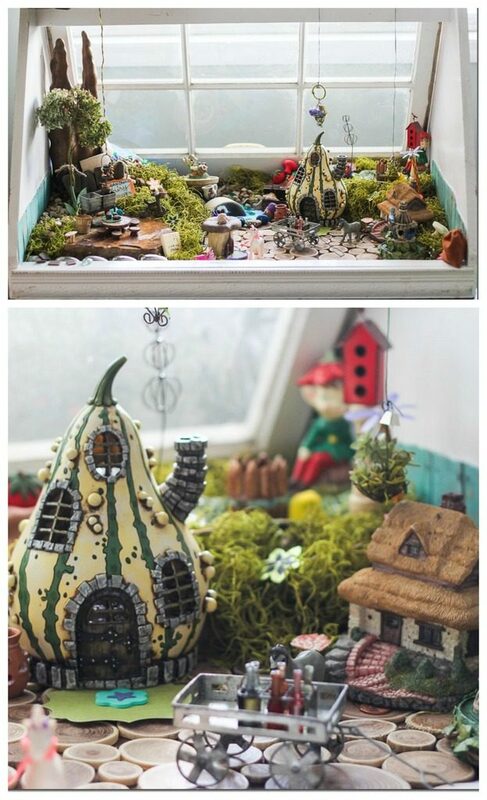 And my most favourite of the entire list is this epic fairy garden that has left me speechless. 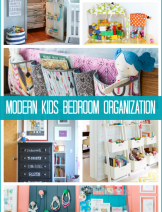 Turn a small greenhouse into this classic piece kids can enjoy playing in! 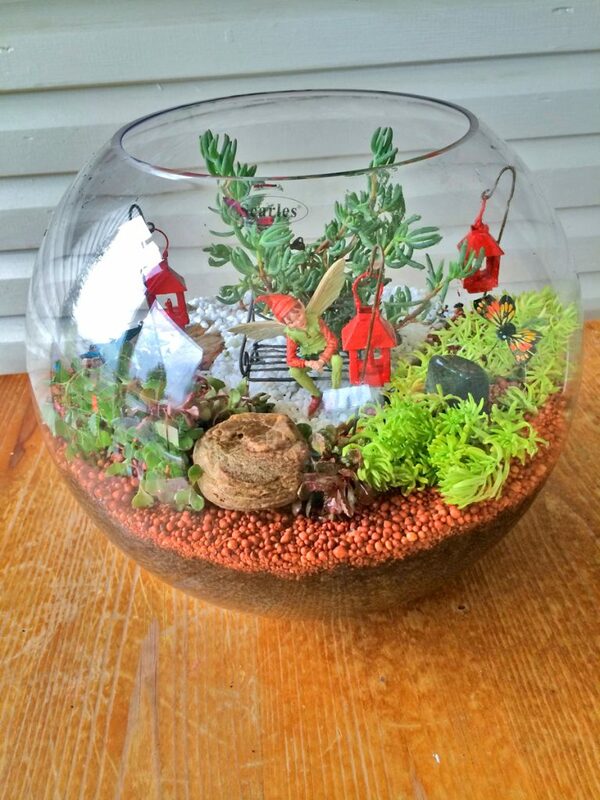 Turn a fishbowl into a fairy garden. 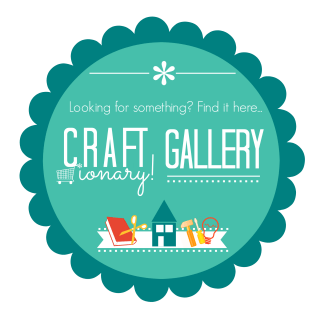 You might also like this fishbowl snow globe. 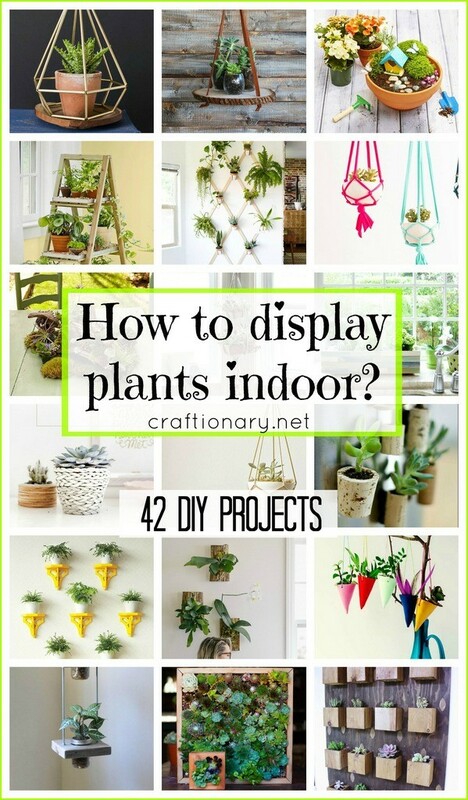 A collection of indoor plants you can use in your fairy gardens. 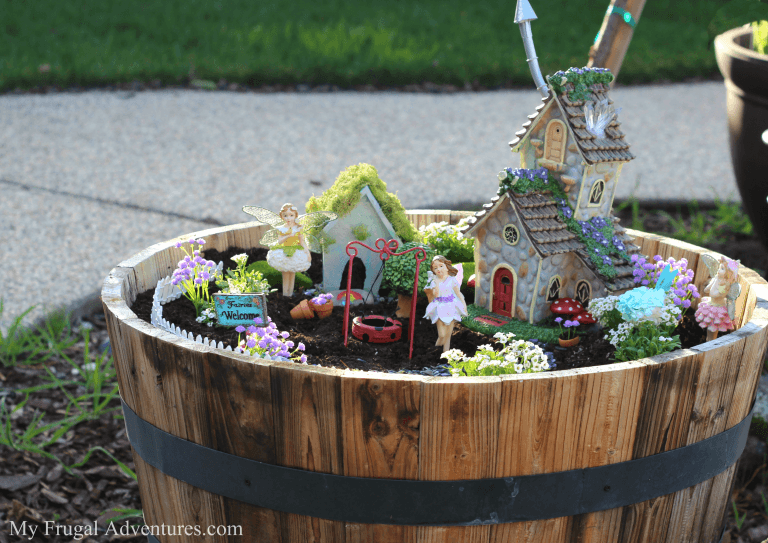 Fairy Garden Makeover using a barrel. 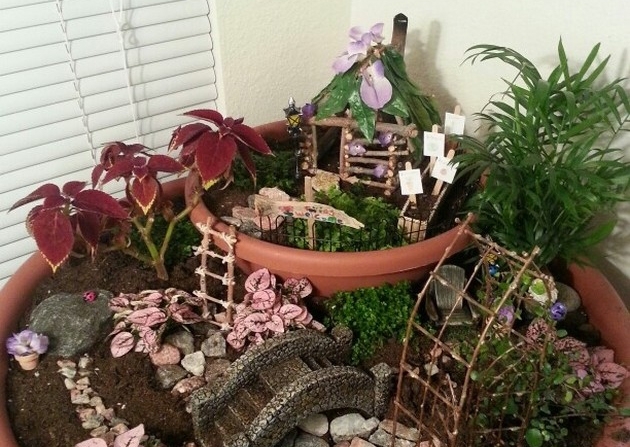 DIY indoor fairy gardens by Bruce angels is a collection of beautiful fairy gardens. 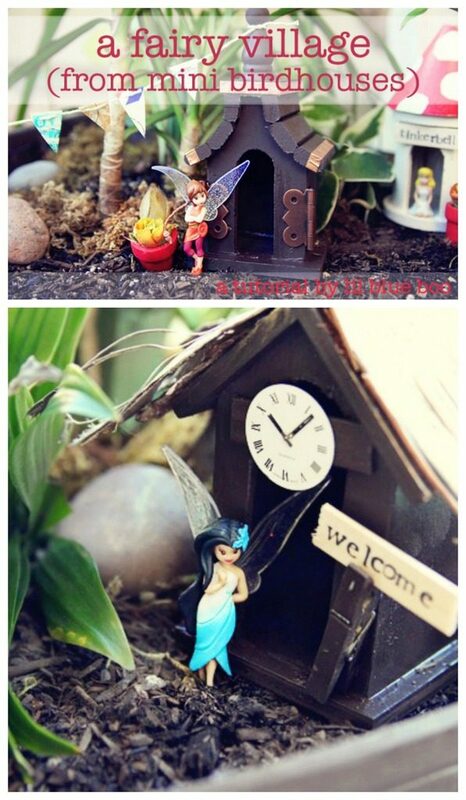 A Disney’s fairies and tinkerbell. 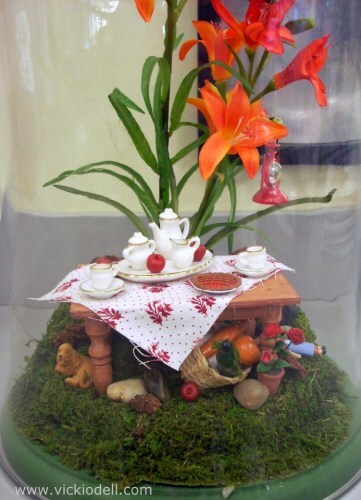 A magical tea party evening with little fairies. 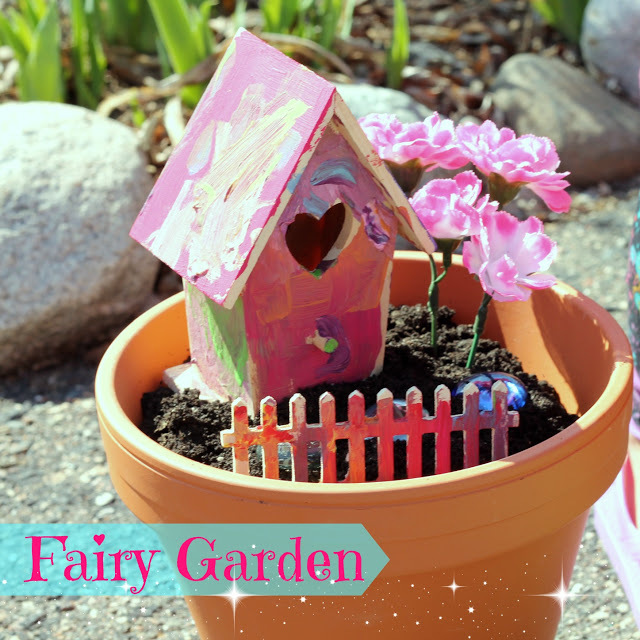 Make an indoor fairy house (fairy home) in a planter. 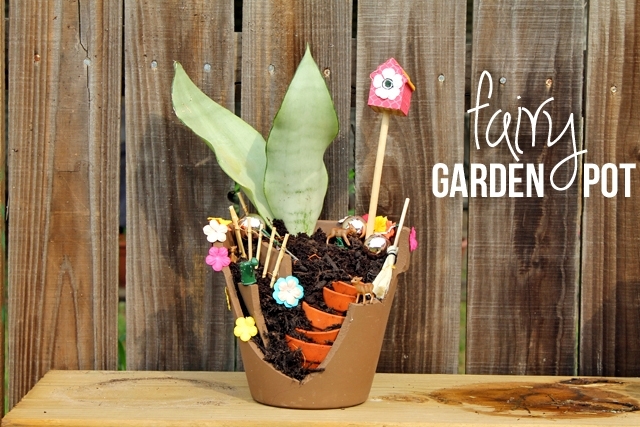 Turn a broken planter into a fairy land. 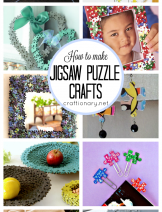 I hope you enjoyed these fresh ideas for constructing beautiful indoor fairy gardens. 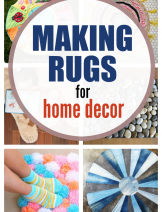 You can keep them indoor or outdoor if you wish!